All 16 teams in the Senegalese Ligue 2013 have now played 15 matches, meaning that the first half of the season is finished. In this post, I will present a list of top scorers, including basic player information. * Back in 2008, while playing for AS Douanes, Toupane was widely regarded as one of the most promising strikers in Senegal. After a few uneventful seasons at AS Douanes, Toupane needed to re-launch his career. At Touré Kunda, Toupane has been a sensation, having scored seven goals in 15 matches. Toupane, who is hard-working, powerful and quite pacy, was the first player I wrote about on my blog, on 08.10.2010. * Watch out for the sensational Badara Badji. The 19-year old target-man is 190 centimeters has scored five goals in eight matches, as far as I know the best goal rate in the league. Badji, a product of the impressive academy Mawade Wade. The lanky striker is surprisingly skilful, has a lot of player intellence and has the confidence to try the spectacular. I am pretty sure we will hear a lot more from Badara Badji. The picture is of Badji and was found on http://www.ndamli.sn. * Veteran striker Dramé, formerly of US Gorée and DH El Jadida from Morocco, is a big and strong striker with plenty of experience. Dramé has played all 15 matches so far this season. Please note that Dramé has scored six goals according so some sources. Personally, I can only document five goals. * Experienced striker Mbaye is one of the most consistent and feared strikers in the Senegalese Ligue 1. The powerful Mbaye has played 12 or 13 matches so far this season, including three substitute appearances. * Diatta is a centre-forward, formerly of AS Douanes and Casa Sport. Diatta has played 13 matches so far this season, forming an impressive partnership with Mouhamadou Dramé. * Tall, powerful centre-back who is dangerous whenever he is in the box. Ba, who has played 10 matches so far this season, played for Belgian side AA Gent during 2010-2011 and 2011-2012. Ba has played two matches for the Senegal national football team. * Barry, an attacking midfielder or striker, is a rather unknown player to me. Last season, he was part of the Port Autonome team that won promotion. This season, he has played 10 or 11 matches, including at least three substitute appearances. * Boye is a pacy, hard-working striker with clinical finishes. Boye has played 11 matches so far this season. * At the time of writing, Mallé Diallo is a totally unknown player to me. I know he is a striker and that he has played 10 matches so far this season, at least five of them being substitute appearances. I am hoping to find out more about this exciting prospect. * Diedhiou, primarily a left-winger, is widely regarded as one of the most dangerous wingers in the league. Diedhiou, a former player of ASC Saloum and Stade de Mbour, made his debut for the Senegal national football team on 10.05.2010 in a friendly match against Mexico. Diedhiou has played 11 matches so far this season. * Séga Diop is a striker, previously a star player at ASC Yakaar. Diop has played 11 or 12 matches so far this season, including at least five substitute appearances. 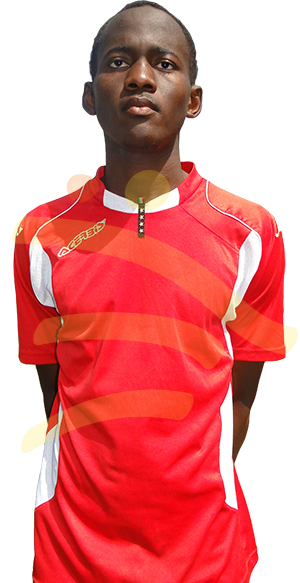 * Mamadou Fall is a quick and lively striker, formerly of Renaissance Sportive de Yoff and CSS Richard-Toll. Last season, Fall was one of the top strikers at CSS. * Talented striker Ameth Kounta scored in the two first matches of the season but has been rather quiet ever since. Kounta has played 11 matches so far this season, including two substitute appearances. * Keneme is a winger, striker or attacking midfielder who has played all 15 matches for the impressive Olympique de Ngor so far this season. Last season, Keneme was one of the players that won promotion with the team. As far as I know, this is his first season at top level of Senegalese football. * Niang, formerly of ASC HLM, is a consistent striker in the Senegalese Ligue 1. Niang is primarly a centre-forward due to his height and strenght. He has played 13 or 14 matches so far this season. * Centre-forward Thierno Niang, most likely 19 or 20 years old, is one of the hottest prospects at high-flying ASC La Linguère. Niang has played 13 or 14 matches so far this season. * Sow, who played professionally for US Sénart-Moissy(France) in 2010-2011, is a big, strong centre-forward. Sow played for Casa Sport before travelling to France. He scored five goals for ASC Diaraf last season. Sow has played 12 matches so far this season, including two substitute appearances.